TORONTO, March 19, 2019 /CNW/ - The 2019 federal budget released today builds on the historic 2018 budget, which had an unprecedented focus on advancing gender equality in Canada. We are pleased to see that this year's budget included a key recommendation that the Canadian Women's Foundation submitted to the government last fall: To increase funding for community action that will tackle systemic barriers impeding women's progress. This will be done through a $160 million investment over five years in the Women's Program, managed by the Ministry of Women and Gender Equality. However, 75% of this funding doesn't occur until 2022-2023, and we would encourage the government to invest it sooner. Women's organizations need to be able to depend on funds that will build their capacity and extend their reach so as to develop long-term solutions, including culture changes that promote public understanding of gender inequity with an intersectional lens. "In this year's budget, we're seeing increased investments in the Women's Program - which will develop a strong women's movement in Canada. We're also seeing a stronger GBA+ analysis throughout the budgeting process - which helps Canadians see how government spending directly impacts women. The Foundation's priorities are aligned with that," says Paulette Senior, President & CEO of the Canadian Women's Foundation. The Canadian Women's Foundation believes the time is now to advance gender equality, and has developed a bold new strategic plan to guide our work. But without government collaboration and leadership, it's an uphill battle to reach a gender-equal Canada. The budget also includes other positive measures that will support diverse women and girls, including the development of a new Anti-Racism Strategy and Secretariat and increased investment in the LGBTQ2 Secretariat. This shows an important commitment to community-level work by and for the communities that are most affected by sexism, racism, homophobia, biphobia, transphobia, and discrimination. We're also pleased to see attention paid to Indigenous services and Reconciliation, and are looking forward to a strong focus on women. But despite the budget's investments in women and girls, there was no funding to address Canada's dismal childcare shortage. "Canada desperately needs a national strategy on affordable, accessible, quality childcare. We know that over 770,000 children in Canada live in 'childcare deserts'," says Senior. "We also know this lack of childcare has real-world consequences. Childcare is a key pillar in women's economic independence. We know that women may be reluctant to leave an abusive partner if they will be financially unstable. And we know that one in three single mothers are raising their children in poverty. When the budget takes into account that childcare is not an isolated issue, many barriers to gender equality will be removed." The Canadian Women's Foundation looks forward to the next steps to address these missing pieces. We recognize the efforts that have been made, but would welcome future investments that will specifically support women and girls and help build a gender-equal Canada. 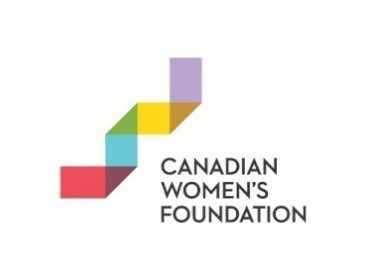 Launched in 1991 to address a critical need for philanthropy focused on women, the Canadian Women's Foundation is one of the largest women's foundations in the world. With the support of donors, the Foundation has raised more than $90 million and funded over 1,900 programs across the country. These programs focus on addressing the root causes of the most critical issues, and helping women and girls who face the greatest barriers. To learn more, visit canadianwomen.org, sign up for the e-newsletter or read the blog. Follow the Foundation on Facebook, Instagram, Twitter or LinkedIn. Editor's Note: When referring to the Canadian Women's Foundation, please use the full name. Please do not abbreviate or use acronyms.